Chloe | What is ML Reading? ML loves to play with boxes. When she was four, she created an amazing gift for her father. It was a box with all sorts of items glued to it; pom poms, googly eyes, pipe cleaners, aluminum foil. She worked on this gift for weeks. It was her first sculpture. Boxes encourage imaginative play. We love two picture books about boxes. 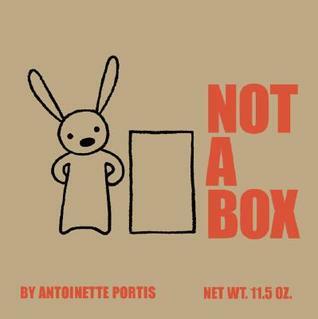 Not a Box by Antoinette Portis has simple text and illustrations so you can focus on all the things a box can be. 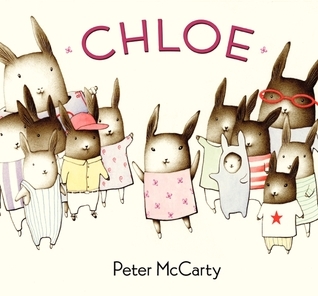 Chloe by Peter McCarty shows why the box the television came in is more fun than the show on television. Let’s just say, bubble wrap is a part of the story. The Finnish government does something very cool with boxes. In an attempt to reduce the baby mortality rate, they began providing boxes for expectant mothers 75 years ago. These boxes contain clothes, baby bath items, a mattress and bedding. The mattress and bedding fit snugly in the box. It becomes a a small, intimate crib that can be moved throughout the home. They even include a picture book in each box. As the child grows, I am sure the box becomes an airplane, a boat, a house, a spaceship, a robot; whatever the child’s imagination creates. Read more about this unique way they embrace new mothers and babies in their country. Why Finnish Babies Sleep in Cardboard Boxes by the BBC.